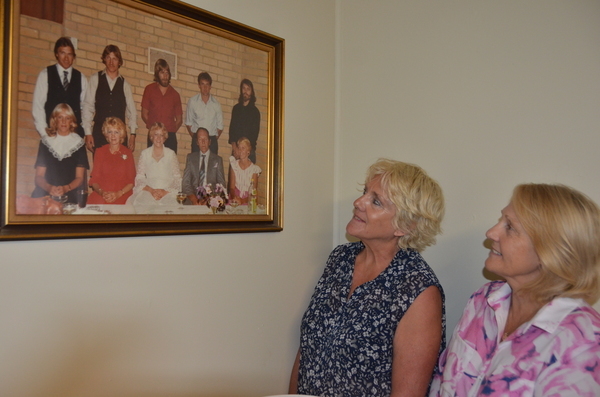 Fay Tuck and Julie Isles look at a photo hanging in the family home of their parents Alf and Colleen with their eight children. A Drouin property going under the hammer this Saturday is steeped in sporting folklore, as GARRY HOWE reports. They wore the bumps, bruises, cuts and grazes like badges of honour. Kids congregated by the dozen on a patch of gravel road outside 10 Hopetoun Road in Drouin chasing leather spheres – the oval-shaped version in winter and the rounded, stitched one in summer. These were the days when kids played outside until dark, with the only electronic device within sight adding rays of light to the emerging darkness, if the street light hadn’t been hit by an errant ball that is. It was a scene typical of any suburb or country town in the 1960s and ‘70s. Yet the group outside 10 Hopetoun Road was a little different. Among the dozen or so kids chasing leather was some of the finest talent to grace a football field. This was the home of the Abletts – Alf and Colleen with their eight kids Fay, Len, Julie, Geoff, Graham, Kevin, Gary and Janice. Three of them – Geoff, Kevin and Gary – went on to play AFL football. Gary is still considered among the greatest to have played the game. Hawthorn premiership player Leon Rice used to live around the corner on Buln Buln Road and would often join in, remarking early on that ‘jeez these kids can tackle’. And it wasn’t only the boys. Fay, the eldest, was reputed to be one of the fiercest. The smell of Dettol wafted through the air when the call came to come inside – usually about 7 o’clock – as the cuts and grazes were tended to. “We used to beat the boys until they got too big – then we had to learn how to run,” Julie said. Errant kicks would often break street lights and Alf was always paying for neighbourhood windows to be repaired during cricket season. The DeVries, Minehans, Dunstans, Johnsons and Tibballs kids were regulars. Occasionally, there would be relay races along the nature strip. In later years Hawthorn legend Michael Tuck, who held the AFL games record until just recently, would also frequent the home – courting and then later marrying Fay. A racetrack was fashioned out on the old Catholic Church land across the road. If it was decided a jumps race was on the card, an old ladder would be dragged over from the shed to use as an obstacle. Alf trained a few horses, housed in stables at the back of the sizeable block, and the church used to let him use the land across the road to rest his horses. His best was Yerac (Carey spelt backwards), which won 25 races in a season one year, earning the title of Phar Lap of the Bush. Wins included the Drouin and Pakenham picnic cups. Bread and milk was still delivered by horse and cart back then. One day there was an almighty crash soon after the delivery – Yerac had helped himself. “We thought, ‘there goes our school lunches’,” Fay smiled. Len still trains a few horses and Geoff dabbled in the caper for a while as well. A few years on, another generation – the grandkids – kept the tradition going. Gary Ablett junior, a dual Brownlow Medallist now rivaling his father as a great of the game, would join his cousins, some of whom also played AFL, out on the road. The home, built in the 1930s, has been in the Ablett family for around eight decades. Alf and Colleen Ablett moved into the place in the early 1950s. They bought it from Arthur Ablett, founder of the Ablett transport company, and his wife Betty. Before that, they believe a former mayor may have lived in it. 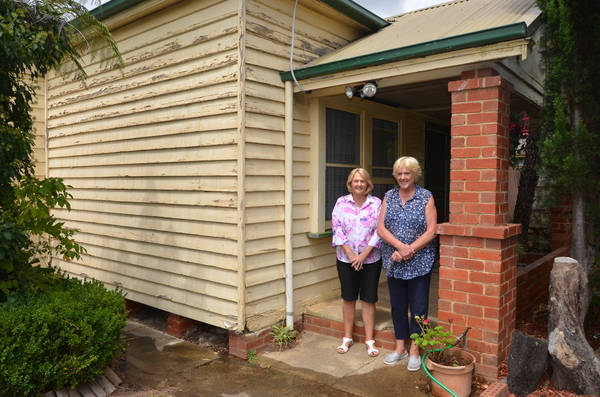 The Ablett children have fond memories of growing up in the modest three bedroom home. The boys were crammed into one bedroom – two bunks and a single bed – until a bungalow was built at the back. The three girls shared the other bedroom. Alf passed away 11 years ago and Colleen in 2017, so the home has been put up for sale for the first time in decades. 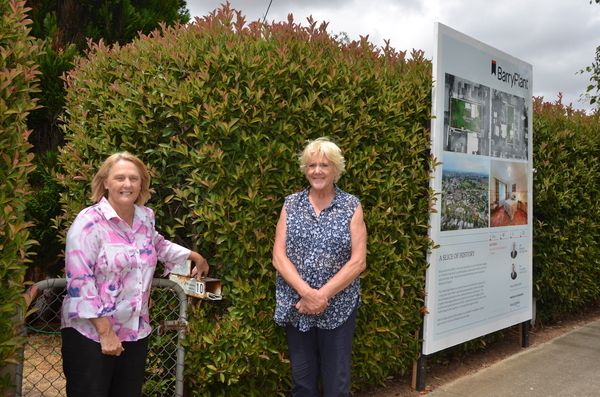 There is only one resident left from their time in Hopetoun Road – Beryl Holt still lives on the corner of Buln Buln Road. “It’s always sad when you have to let the family home go,” Fay said. “But that’s a part of life I suppose. The property, on a 1010 square metre block, will be auctioned at 11am on Saturday 16 February by Barry Plant Real Estate. A big crowd is expected to congregate out the front – this time not chasing a leather sphere, but a property steeped in sporting folklore.